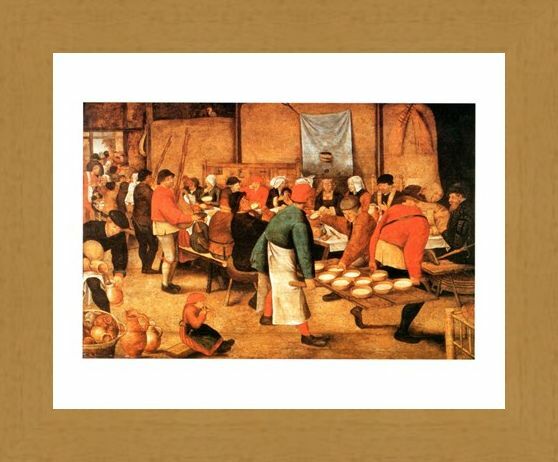 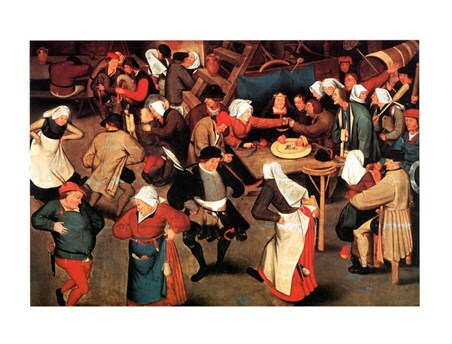 Art Print: This intriguing and delightful picture of a group of peasants in the 16th Century was created by the Flemish painter Pieter Bruegel Il Giovane, or Pieter Bruegel "the young". 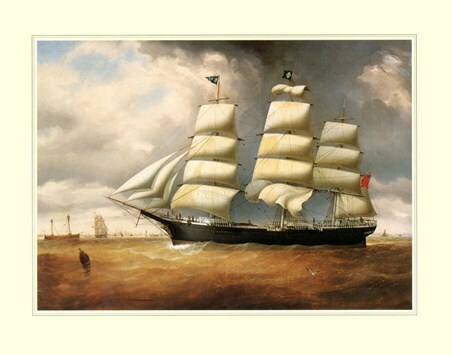 He was known for his style of realistic groups of people in everyday situations, but also for some gruesome paintings of fantasy subjects. 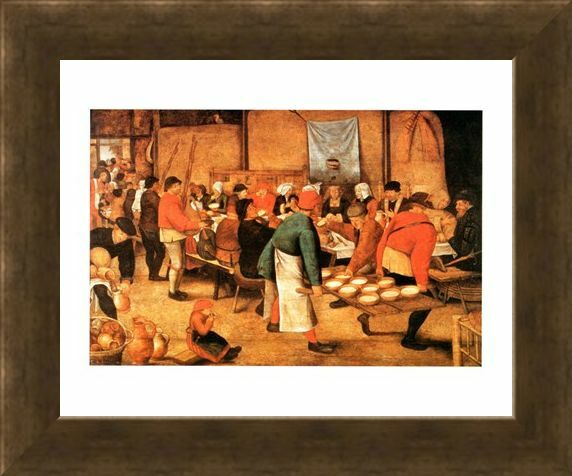 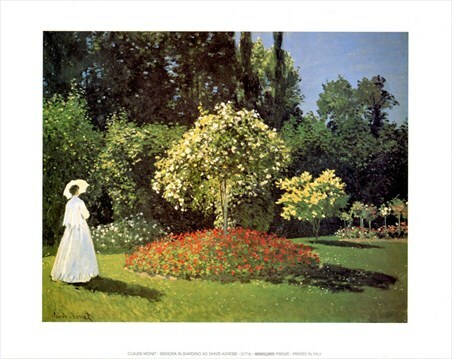 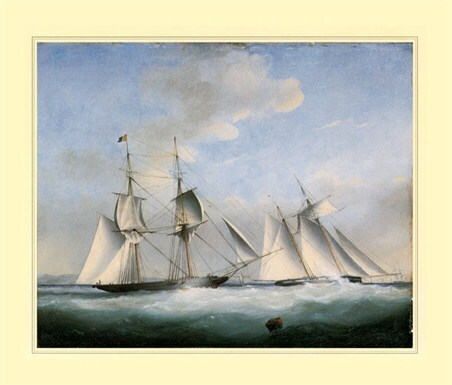 Other work includes "The Village Lawyer" and "Winter, Hunter in the Snow". 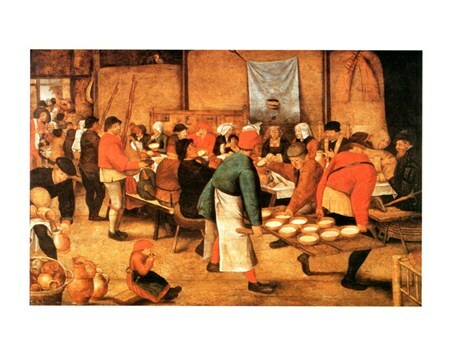 This "Pranzo Di Nozze" is a feast which is packed full of interesting details to look at. 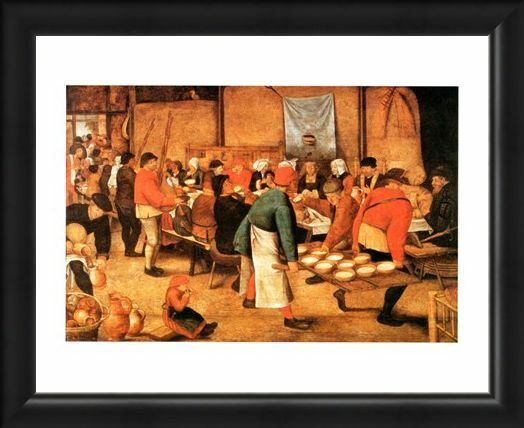 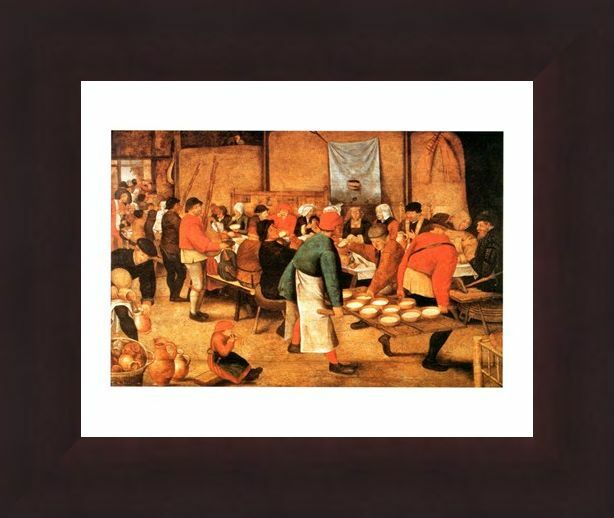 So if you love the realistic work of Bruegel, then why not hang this on your wall and have a wonderful feast to look at every day. 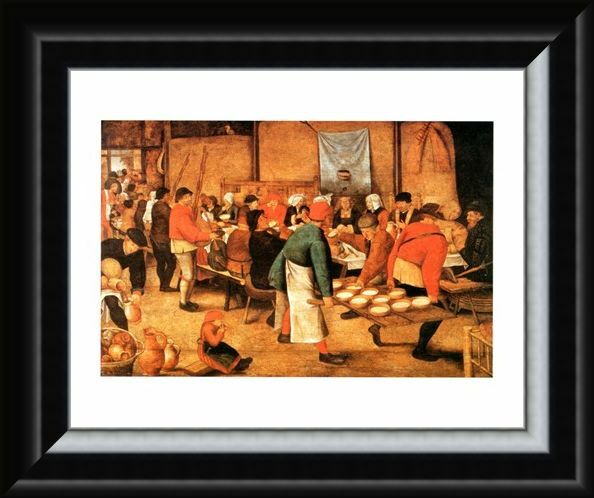 High quality, framed Pranzo Di Nozze, Pieter Bruegel Il Giovane mini print with a bespoke frame by our custom framing service.